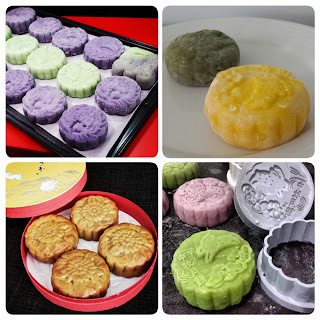 This year I made my usual snowskin mooncakes with taro lotus, green tea lotus and mung bean fillings, baked red bean mooncakes and matcha and durian ice cream mochi mooncakes! This ube flavouring gives such a nice smell and colour! Love it! 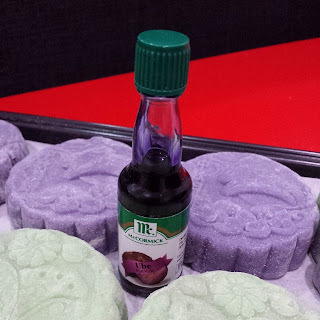 But I seriously am desperate in finding taro flavour or powder still! 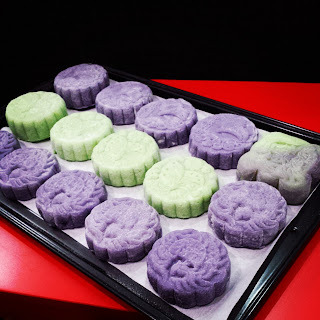 :( This is the 5th year of making snowskin mooncakes (2009, 2010, 2011, 2012), my 2nd year of baking mooncakes and the first time making mochi icecream mooncakes! Hehe. 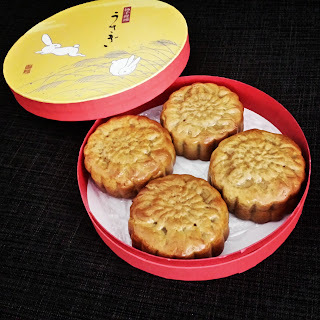 I'm kinda getting sick of my mooncake designs now though.. I really need to look for different ones. A few weeks back, I made matcha and durian ice creams. 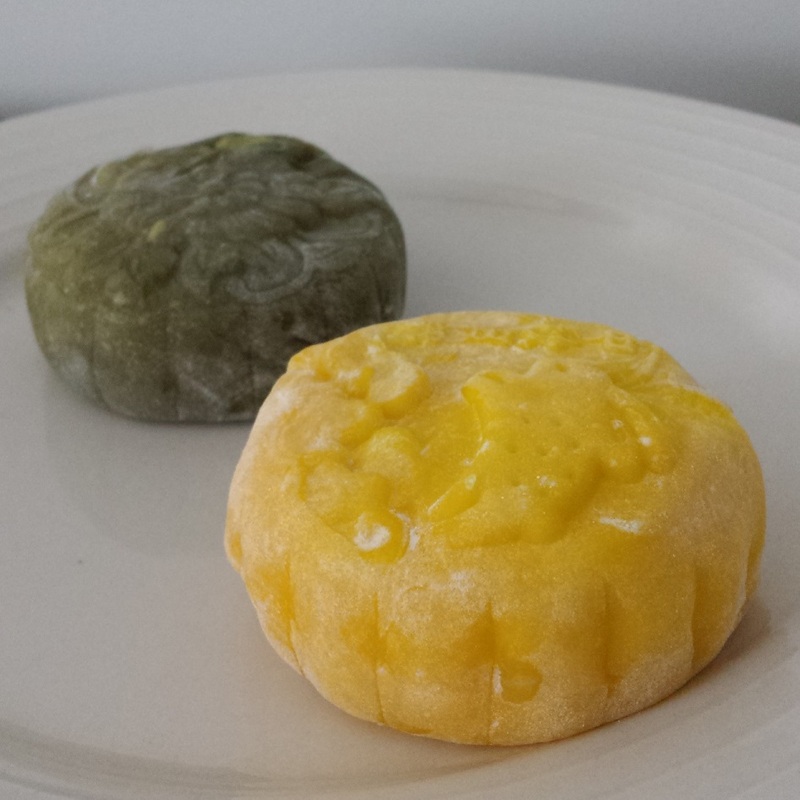 Blend durian into a paste. In a saucepan, heat up milk, cream and sugar until dissolved. Heat till near boiling and stir in durian. Add egg yolks and mix until combined. Use icecream machine as per instructions. Place into a container, cover with cling wrap and close lid. And.... I can't remember my quantities for the matcha icecream anymore :( (I seriously feel like I'm getting dementia). There were no eggs involved in the icecream. 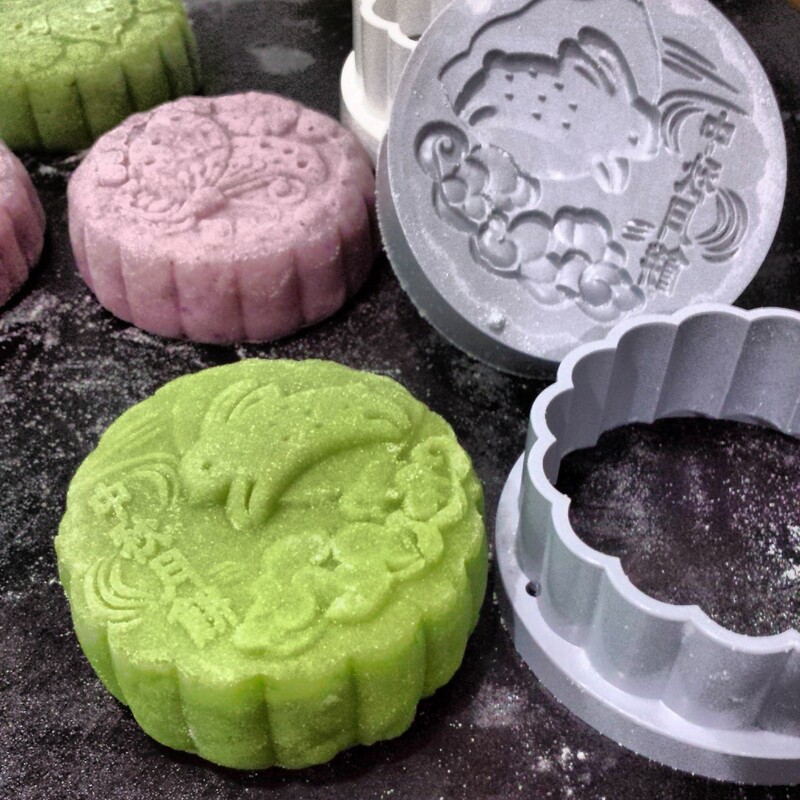 Anyway, back to making the mochi ice cream mooncakes. What you need to do is scoop the icecream and set it first. I used 2 scoops of icecream (combined into one ball) per mooncake. Must work quickly to prevent melting and freeze these overnight. 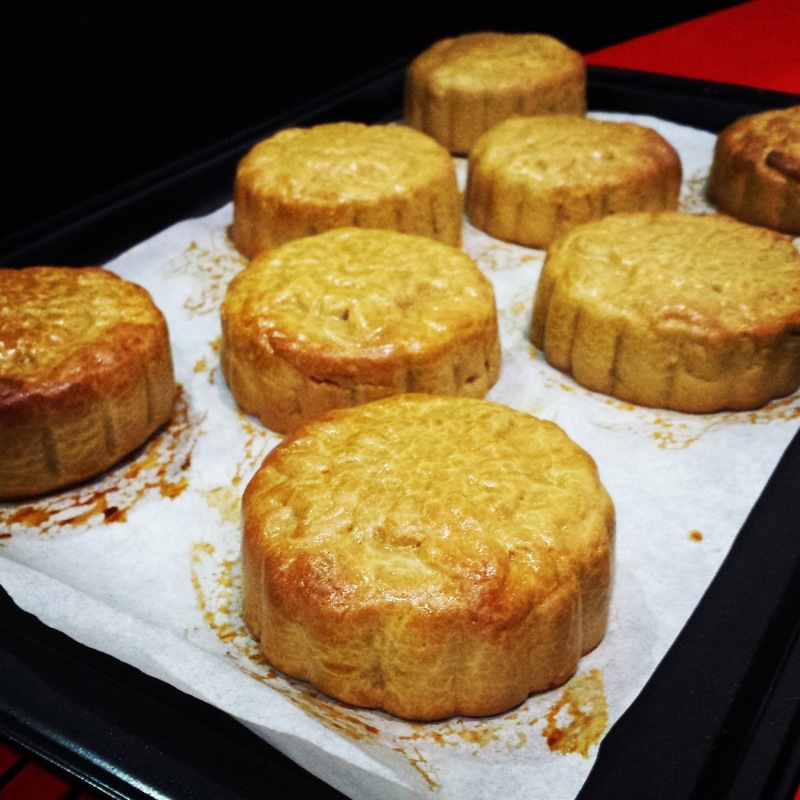 *I halved the quantity of each ingredient for each flavour. Cover a baking tray with baking paper and lots of corn/wheat starch. Mix all other ingredients until combined. Cover lightly with cling wrap. The mixture should be cooked. Mix it again. Cover lightly with cling wrap again. 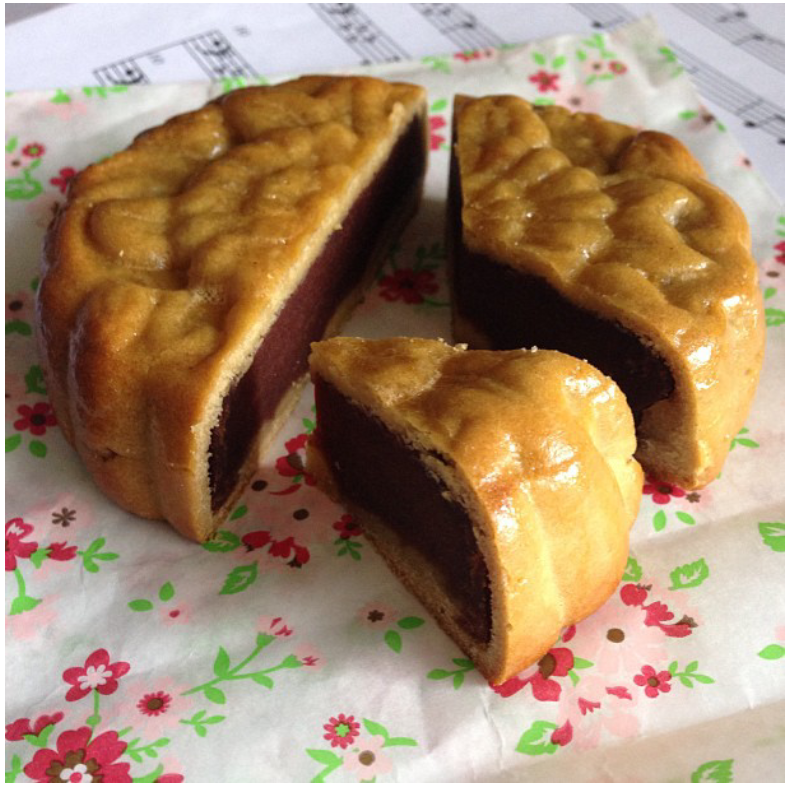 Microwave for another 30 secs. 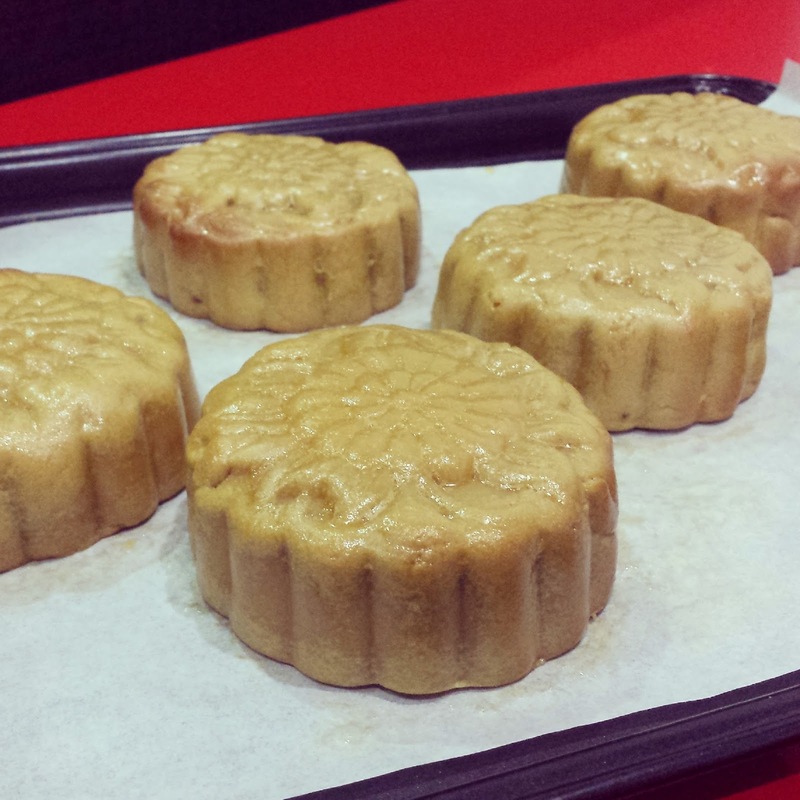 Place onto baking tray. Cover with more corn/wheat starch. Push the mochi out into a rectangular shape. Refrigerate for 30mins to an hour. Get a pieces of cling wrap. 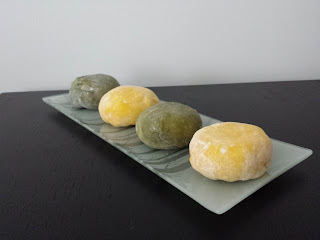 Dust off excess corn/wheat starch from the mochi piece, place onto cling wrap. Place ice cream ball on top, and gently wrap. Twist cling wrap tightly and freeze immediately. 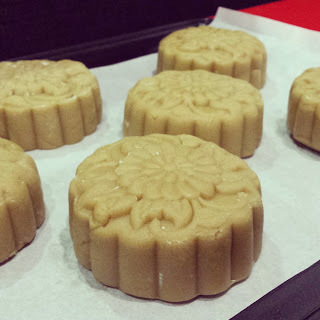 Once hardened, carefully push into a mooncake mould. Wrap into cling wrap and freeze until ready to eat.